Calculating Damages: What is Reasonable Certainty? One of the common issues raised when an expert calculates damages is “reasonable certainty.” It is not uncommon for opposing counsel to suggest that the expert’s calculated damages are speculative. The calculation of damages necessarily requires estimates and assumptions. Something has happened, and a company or individual is claiming that there are lost profits because of it. We can never know with complete certainty what revenue or profits would have been if that incident or action had not taken place. Mathematical precision is not possible. Thus, the expert must make certain estimates in order to calculate damages. Yardstick Method – This method is also sometimes called the benchmark method. It uses a “yardstick” to determine what the revenues and profits would have been if the situation had not occurred. For example, historical revenues and profits might be the yardstick against which revenues and profits for the damage period are compared to calculate the loss. Budgets or projections may also be a yardstick used by an expert, although the reliability of these figures may be called into question. 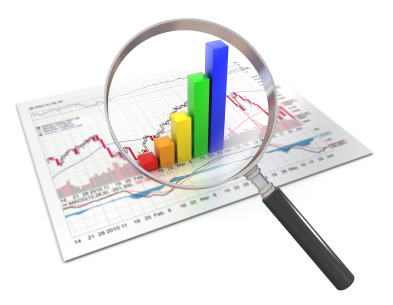 Industry averages are another common yardstick used by expert witnesses. Before and After Method – Damages are calculated with this method by comparing revenue and profits before the situation to the revenue and profits after. This method is often used when the damaged company has a sufficient operating history to use as a basis for estimating revenues and profits. But For Method – This method can also be called the sale projection method, as it relies on projections or forecasts of sales absent the alleged bad acts. What would sales have been “but for” the defendant’s actions? This figure is then compared to actual results for the same period. With each of these methods, causation of losses is important. Establishing causation relative to damage calculations can be difficult. In many cases, the expert will be asked to assume causation for purposes of damages. While this may make things easier for the expert, it does not mean that opposing counsel will not question the expert on the issue of causation and whether the assumptions regarding causation are plausible. Information regarding historical performance of the damaged company necessarily comes from the company itself. Additional information on future developments and prospects, market conditions, and competition also may be supplied by company personnel. This may sometimes draw criticism, and the expert may be accused of not performing an “independent” examination of the facts and data. Common sense says that the owners and the personnel of the damaged company may possess a wealth of knowledge about the business, the industry, and the losses sustained. That information can be invaluable, and must not be discounted simply because it comes from the injured party (and therefore could be manipulated). The company or their attorneys may also engage consultants to conduct market research or gather data relative to the losses. This information and data should not be immediately discounted, simply because it has been gathered at the request of the injured party. The damaged party may have commissioned research or data gathering as part of the process of evaluating the claim, initiating legal action, and estimating damages. It may not be practical for the damages expert to gather such data, or it may be duplicative of efforts for the expert to gather the data a second time. Information acquired cannot be ignored because the company may be the source of the funding or the research, and the expert may be permitted to rely on the acquired data and use it in damage calculations. It is also important to note that research regarding the losses cannot be unlimited. No matter how much research company personnel, consultants, or expert witnesses do, the other side may still say that more research should have been done. A multitude of issues may be highlighted, and questions asked about additional research that could have been done. There must always be a stopping point when gathering information and data. “More” always could be done. But at some point, the benefits outweigh the cost, and the expert must decide whether there is sufficient data and facts on which to make a calculation that is reasonably certain. When does the use of estimates cross over into speculation? It depends. As mentioned above, the use of estimates is necessary in damage calculations because no one will know for sure what would have happened if the incident giving rise to the claim had not occurred. It is typical to rely on the historical performance of a company to predict what future revenues would have been. It is not uncommon to make adjustments to the historical performance to factor out unusual variations or situations that skewed historical numbers in one way or another. Estimating future growth rates can be problematic, but the expert should have a reasonable basis for the growth rate (either positive or negative) that is used. There are many factors that can affect revenues and profits, and the expert witness should attempt to determine if situational factors other than the alleged bad acts would have impacted the company’s results. Again, the involvement of multiple factors makes the calculation of damages more difficult. Common factors include general economic conditions, competition within the industry, changes in technology, effectiveness of company personnel, access to capital, and innovation by the company and competitors. The expert should attempt to differentiate between general conditions that may have affected business (for example, some broad economic conditions) and more specific conditions that would be likely to directly affect the business (for example, a significant change in technology that would have rendered the company’s product more or less desirable). The period for which damages will be calculated must be determined by the expert. This is not always straightforward either. Sometimes the damage period will be limited by a contract. In other cases, there may be no such guidance, and determining the length of time over which damages will be suffered is a key factor. There is no hard and fast rule regarding reasonable certainty. It is going to depend on the judgment of the trier of fact, who will determine whether the expert’s calculated damages are fair under the circumstances. This can make it difficult for the expert. How certain do you have to be? A common criticism is that damages are too high or too optimistic. Should a damage calculation be ignored simply because the losses are too great? Of course not, but the expert must make every effort to ensure that the calculated damages are reasonable. One way that an expert can support his or her calculated damages is by using the best available evidence. Another way to support the damage calculation may be through the use of multiple sources of data and multiple calculation methods. Using a second or third set of data or method may yield similar results to the primary calculation of damages, and therefore may tend to support or validate the primary method used. There are certain situations which make it even more difficult than normal to calculate damages. One of the most common is a business with little or no operating history. Start-up businesses don’t have a track record of revenues and profits on which to base damage calculations. How can the expert develop numbers that are reasonable certain in this situation? Evidence must be gathered to support a damages calculation. With little or no operating history, the expert may be left to seek data outside the company. This might include industry data or data for a similar company. Using such data is criticized, often because it is difficult to find a comparable company, to adjust figures for similarities and differences between the subject company and the comparable company, and to get data that is detailed enough to be applied to the case at hand. The expert can demonstrate that the companies are comparable by showing that the products or services are similar, the companies served comparable customers, the companies have similar access to capital, and the companies are organized and operated similarly. In most cases, it is not possible to find an identical company. Companies are not carbon copies of one another, but it is important to find a company that is as similar as possible, and to try to determine how the differences may impact revenues sand profits. Surveys and studies could provide a basis for the calculation of damages, but it may be difficult to do so reliably. The expert must be aware of the characteristics of survey respondents and have enough detail within the data to make it useful. It is not uncommon for the other side to argue that since the business never got off the ground, there cannot be lost profits. It is also common to argue that the idea was pie-in-the-sky, the owners would have been unable to succeed with the business, or that any potential success is too speculative. The success of another company in developing and selling a similar product or service may speak to the viability of the business at the center of the damage calculation. If the product or service has been proved valid (via sales by another company), that will help demonstrate that the product or service was indeed marketable. Remember that there is a difference between completing a mathematical calculation correctly, and making a showing that the calculation is valid for the case at hand. Mathematical precision in the calculation is impossible, as it relies on certain estimates about what would have happened in the absence of the situation being litigated. One way to deal with the uncertainty in calculating damages is to offer ranges of damages. The expert may calculate damages under different scenarios and present those figures to the court. Such an approach clearly recognizes that changes in estimates result in different measures of loss. Make sure that each scenario is reasonable, so that the trier of fact can consider all of them and decide which is the most likely. ← Xyngular: Starve, Binge, Purge, Repeat!